KJ provides a safe nurturing environment where dance is the vessel by which a child can gain self esteem and critical life skills. 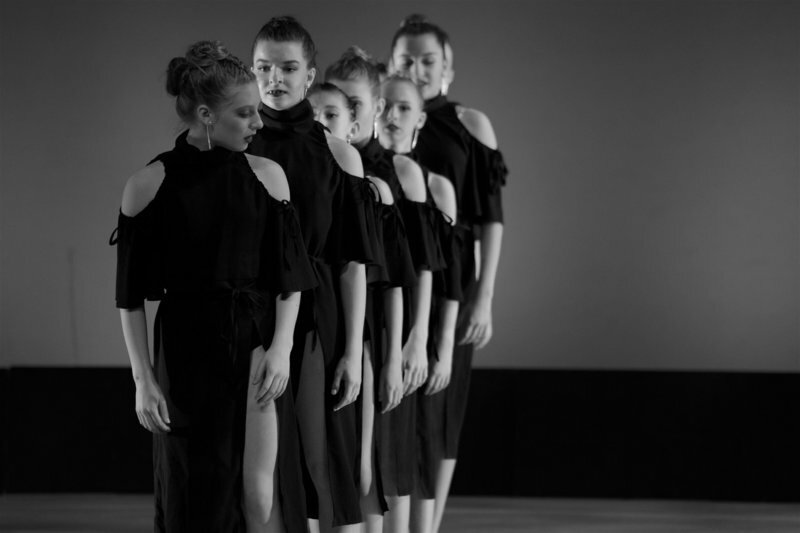 The value of leadership, a team focused mindset, and the development of a quality work ethic are all principles upon which our dance curriculum is founded. 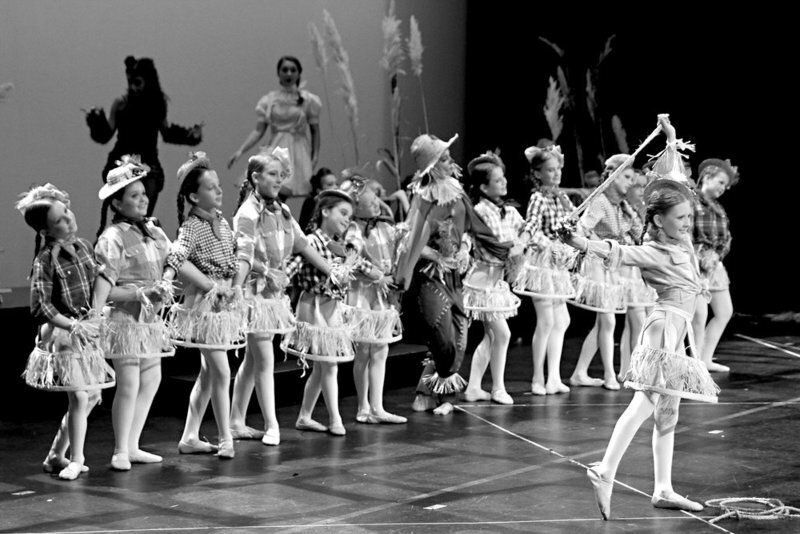 Our program teaches honesty, integrity, loyalty and dedication through the art of dance in all styles. 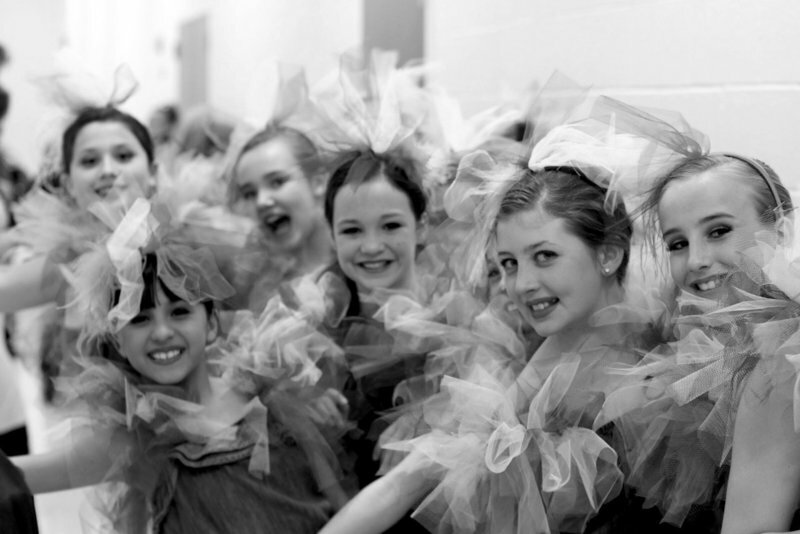 We offer a wide range of class options, serving dancers of all ages and levels. Our Rhythm and Rhyme program is designed to introduce young dancers to movement and technical body positions through use of props and characterization. Students study movement and classroom skills through creative play, music and dance. 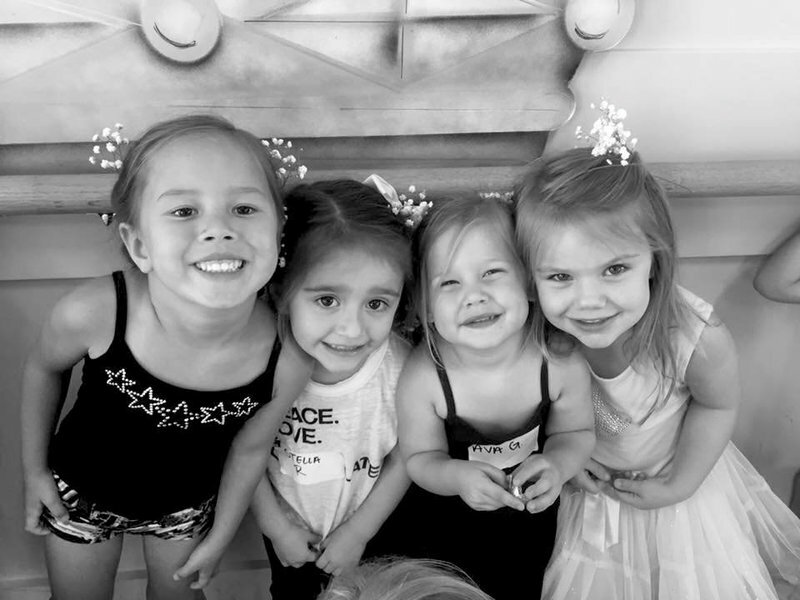 The Rhythm & Rhyme classes at KJ Dance teach proper classroom behavior, independence, coordination, and listening skills as well as develop a love for dance. 45 minutes, once a week. Combo Classes receive instruction of the fundamental basics in both Ballet and Tap.This dynamic class builds strength and body awareness in four levels of curriculum. 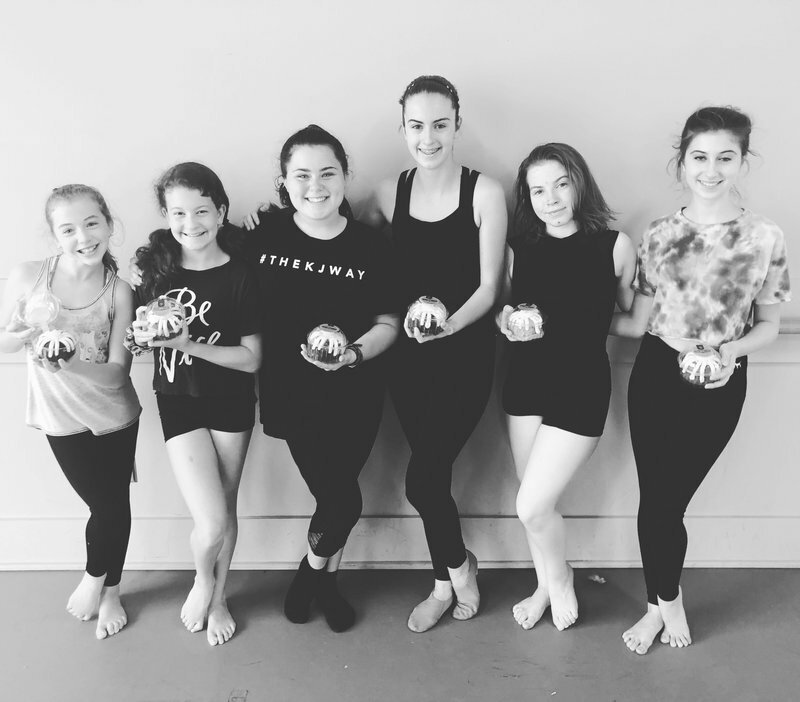 While learning proper technique, combo students develop new skills and begin to recognize their individual potential in the styles of Ballet, Tap and Jazz. Combo I - III 1 hour, once a week. Combo IV - 1.5 hours, once a week. Block students at KJ Dance will explore and train in Jazz, Ballet, and Tap. This program is designed to prepare students for upper level classes. This class cluster allows a dancer to train in foundational dance disciplines while accommodating active schedules. Ballet is the absolute foundation of all dance forms. Ballet is a classical dance form that incorporates grace and precision of movement. This class focuses on overall body alignment, awareness, and technique. The study of ballet develops a unique aesthetic and requires focus and attention to detail. 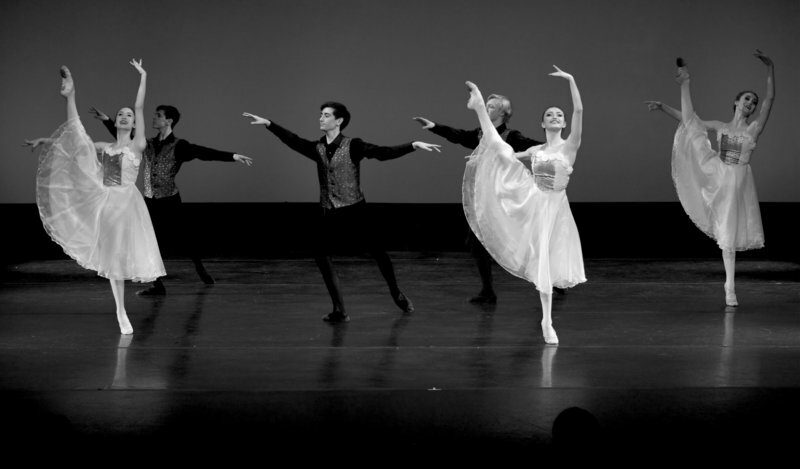 Precise movements and ethereal qualities along with rigorous technique are practiced and developed in these classes. 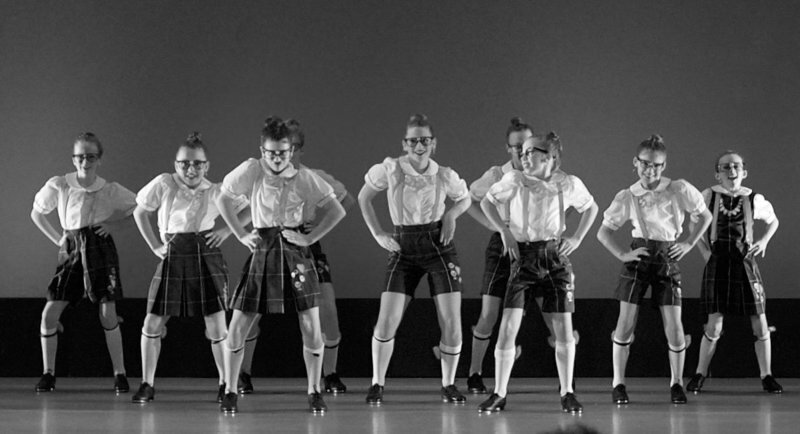 Classes will focus on the teaching of rhythm tap and strong foundational tap basics that progress throughout the year. These fast moving classes are fun and upbeat serving the beginning to advanced student’s growth and development in this genre of dance. Both musicality and percussion are points of emphasis while training the dancer in this discipline. 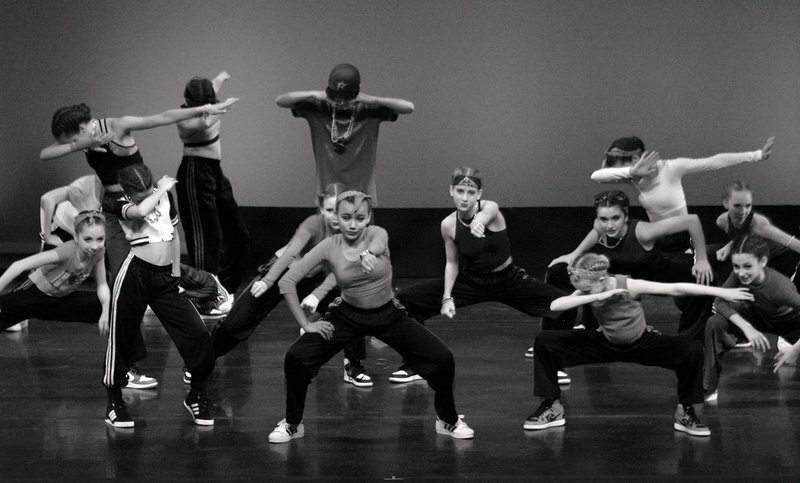 Jazz is an energetic style of dance defined by line and isolation. Using current, age appropriate music, this class is designed to develop strength, body placement, coordination, musicality, and performance style. Dancers love developing their skills in this discipline as they experience growth and self confidence! A KJ student favorite! 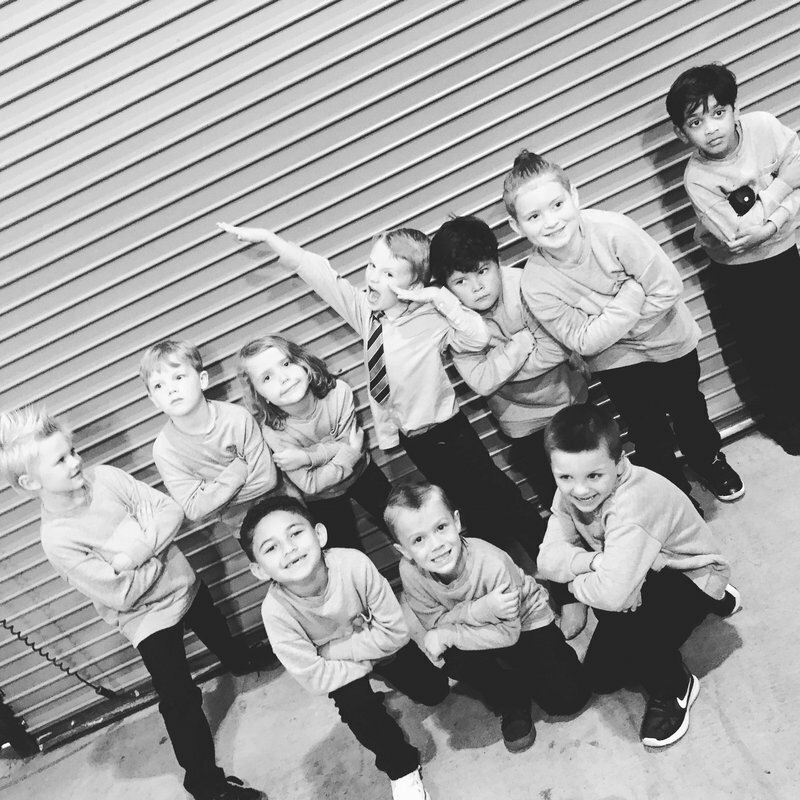 Classes are inspired by hip hop movement and curriculum content for younger students. Upbeat age appropriate music brings energy and awareness to unique musicality, beats, and rhythm. Action packed and full of fun. This class is a perfect fit for high-energy students. A versatile, free, expressive, exaggerated, and highly energetic class for beginning to advanced students. The exploration of hip-hop movement allows students the ability to express their own personal rhythm while focusing on current hip hop styles. Our hip-hop dance program includes a variety of street dance styles including current hip-hop, krumping, popping locking, breakdancing. KJ Dance will always use current music selections that are age and content appropriate. This class is designed to help future and current drill/dance team members improve their dance technique and auditioning skills. KJ Dance has incredible success track record in helping prepare drill team focused students reach their goals year after year. Lyrical is a dance style that combines the foundational principles of Ballet with the freedom, fluidity, and and expressiveness of Jazz, Contemporary, and Modern Dance. It demonstrates emotion and technique while allowing students to stylize their movement with fluid transitions. Lyrical dancing is performed to music with lyrics and training dancers to express the emotions of the lyrics and “story-tell” through the movement is of highest priority. Ages: *Offered to our Competitive PULSE Dance Company members & by special invitation from the KJ Faculty. These advanced classes are offered at our competitive level. Ages: *Offered to our Competitive PULSE Dance Company members & by special invitation from the KJ Faculty Pointe education is offered for advanced students who have progressed to the strength level required. A strong Ballet foundation and cultivated technical ability is required for all Pointe students. These advanced classes are offered at our competitive level. 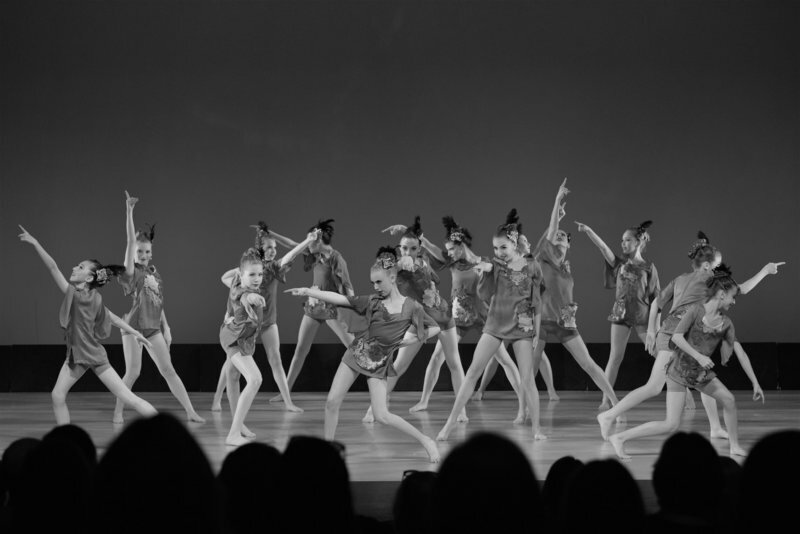 The Junior Apprentice Program at KJ Dance serves students who have desire to achieve a higher level of commitment and training in the art of dance. Our Junior Apprentice program is intended for dancers who strive to reach the competitive level in their dance education and are interested in the study of at least 3 dance disciplines. 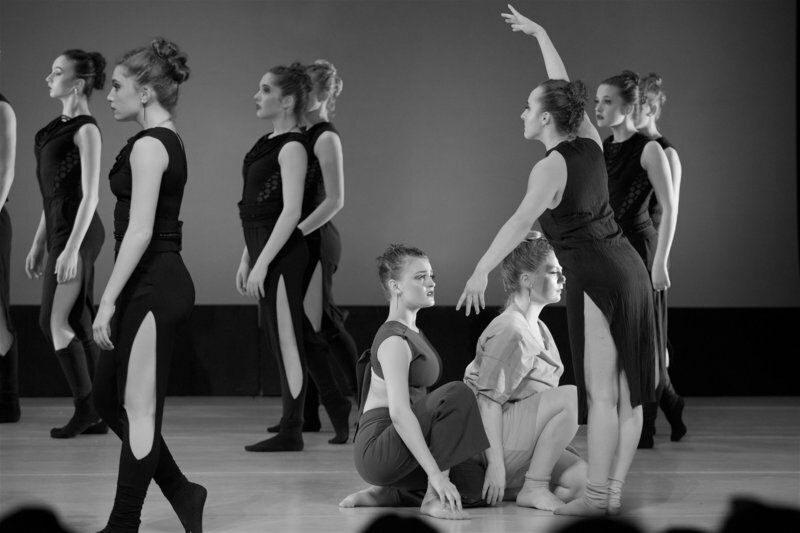 Students in this program dance 4-5 hours a week and are invited to attend dance conventions with our performance company. KJ's nationally recognized abundantly decorated performance company. This highly awarded and vibrant group of dancers has established a reputation of excellence in all dance disciplines. 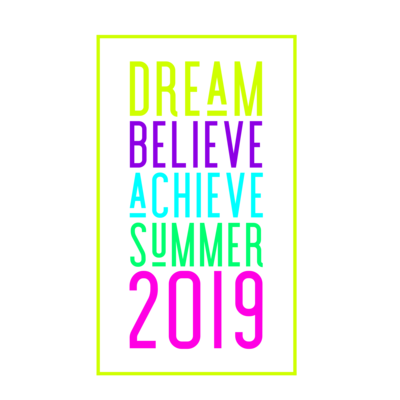 Auditions for this program take place during our annual North Texas Summer Dance Intensive, held in June at KJ Dance-Plano. 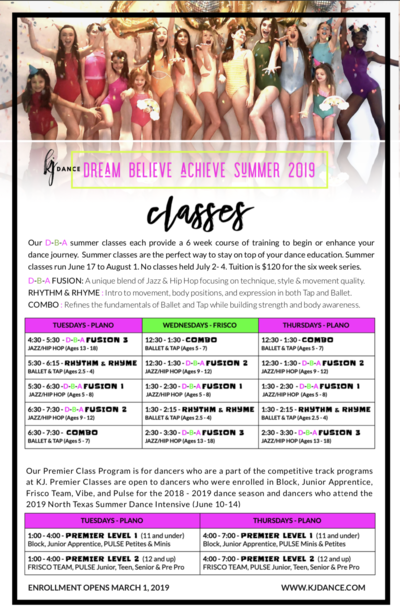 Please contact the KJ Dance Plano office at 972-473-4017 or by email at kjdance.office@gmail.com for more information on our PULSE Dance Company. We are thrilled to announce the very first year of our Frisco dance team. The focus of the Frisco team will be to educate dancers both physically and emotionally by sharing our knowledge in the art of dance. The Frisco team made it's debut in 2017 on competition and performance stages across DFW. 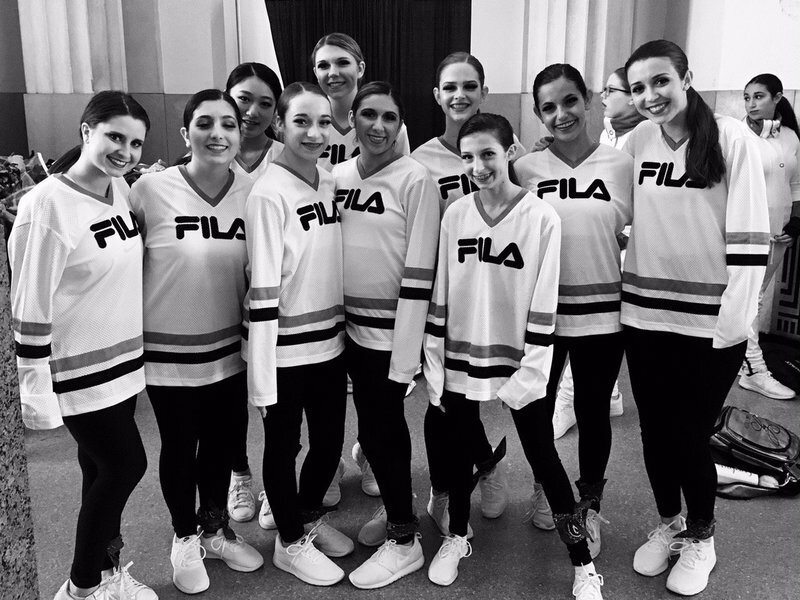 The foundational skills taught through the Frisco team program will enable dancers to grow into mature young professionals with a strong self-image and awareness. If you are interested in taking your dance journey to the next level and increasing your performance exposure in 2018-19, this team is the perfect fit for you. Auditions for the Frisco Dance Team will take place August 9-12. 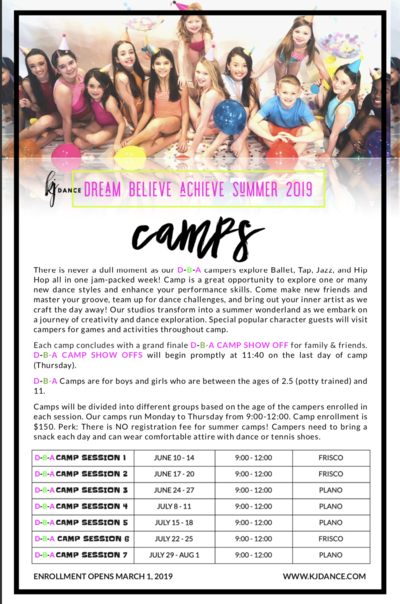 Please contact the KJ Dance Frisco office at 214-469-1770 or by email at kjdance.frisco@gmail.com for more information on our Frisco Team. KJ's premiere competitive and community outreach performance hip hop crews. The POP and GROOVE Crews of VIBE can be found center stage while volunteering and participating in a wide variety of local events and competitions throughout the year. The VIBE hip hop crews have appeared in the Plano Christmas Parade as well as the annual Lakeside Tree Lighting Ceremony. POP and GROOVE Crews compete, with much success, each year at Monsters of Hip Hop, Thunderstruck, and the LADanceMagic Conventions in Dallas. VIBE brings home many top 10 awards, Overall High Scores, and has received the Critics Choice award for Entertainment! The Crews are highlighted each season in their very own VIBE Showcase, an entire show consisting exclusively of VIBE dancers. The Crews have the opportunity to work with in house KJ faculty, local guest teachers, and master teachers from around the country. The KJ VIBE Hip Hop Crews are unlike any other crew out there! 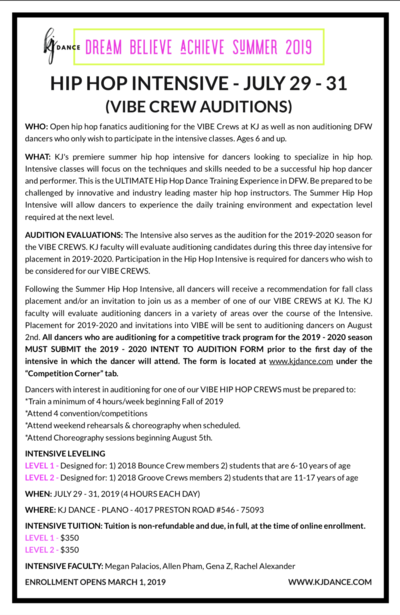 *Auditions for the Crews will take place during the summer hip hop intensive held August 9-12 at KJ Dance - Plano. 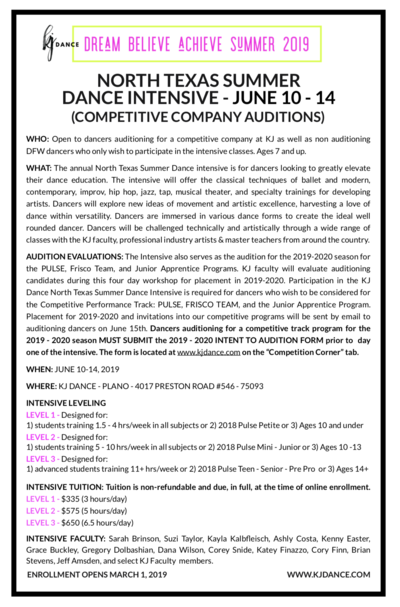 Please contact the KJ Dance Plano office at 972-473-4017 or by email at kjdance.office@gmail.com for more information. My family relocated to Texas four years ago. Anyone who has relocated a family knows about having to reestablish just about everything in your life - doctors, dentists, schools, etc. And anyone who has relocated a family with a dancer knows how it feels to leave behind a beloved dance studio and start again with a new studio. Finding a new studio for my daughter was high on the priority list upon arriving in Plano and there were many to choose from. We visited several, but none felt like home - that is until we visited KJ Dance. We were immediately greeted by Becky at the front desk and taken in with the beautiful, clean and comfortable look of the studio. Becky not only welcomed us to KJ Dance but to the great state of Texas. She took her time explaining the schedule and the studio to us and she patiently answered our questions. We knew immediately that we had found a new dance studio home. KJ Dance’s incredibly talented owner and staff have nurtured my daughter in ways beyond improving her dance technique. It is not an exaggeration to say that my daughter has also grown in her grace, poise, selflessness and confidence since joining the studio. I am thankful every time I drop off my daughter at KJ Dance for the opportunity we have to be a part of the KJ family!